Strategic Growth Trumps Slump Economy - Unintech Consulting Engineers, Inc.
Click on the link to read the full article. 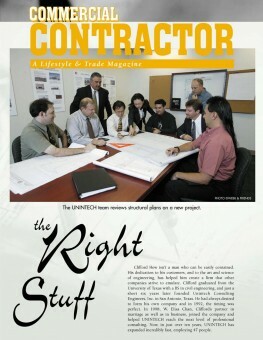 San Antonio, TX – UNINTECH is featured in Commercial Contractor magazine in a four piece spread. 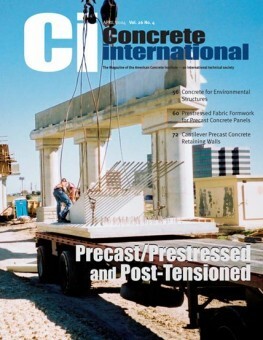 San Antonio, TX – UNINTECH CEO and Co-Owner, Min Chow (Clifford) Hew, P.E., and Precast Division Manager, Mr. Brad Aldridge, P.E., had their research published in Concrete International. San Antonio, TX – UNINTECH is featured in TxDOT’s Road Lines newsletter. The article describes UNINTECH’s project-specific designs and client focus services. San Antonio, TX – Our recent award with VIA Metropolitan Transit landed us a featured article in the San Antonio Business Journal.